I must admit, I never took Atlantico very seriously because of its affiliation with Enrique Iglesias. Its Facebook and Twitter pages are absolutely filled with hopeful women far more concerned with Mr. Iglesias than his rum, so it just didn’t seem like a rum for serious rum drinkers. My first taste of the Atlantico line was the Platino, which was part of our 32 light rum blind taste test, and I found it to be quite enjoyable. And in writing that article, I learned that Atlantico was actually blended by Oliver y Oliver, so my opinion rose yet again and I decided to pick up a bottle of their aged selection. Would this rum be my hero, baby? The shape of the clear Atlantico bottle is quite handsome. Fairly tall with a square bottom, the bottle tapers at the shoulder, pointing to the wood and natural cork stopper. The raised glass “A” with double anchors is a nice touch as well. The label is simple but elegant, with a gold foil border and antiqued paper. The rear of the bottle bears a small label with an eleven character hand-written bottle ID. My hand cramped up just looking at it. The rum washes over the palate like a wave of caramelized sugar. There is little to no heat, and almost no spice. The flavors here are of the aforementioned butterscotch mixed with a hint of charred oak and maple syrup. It’s definitely not complex, but it’s not bad either. Let’s sip some more and see if any subtleties can be discovered. Subsequent sips yield the same result: sweetness. Caramel, toffee, and a hint of pineapple. The finish is long and super sweet. As it lingers, a saccharin note develops, leaving me reaching for a glass of water. 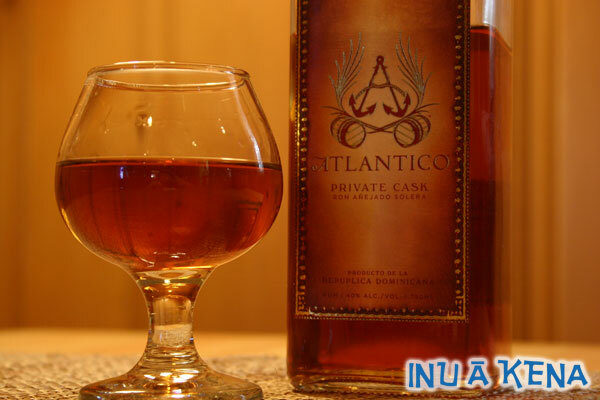 While not a bad rum per se, Atlantico Private Cask lacks the complexity serious rum drinkers are looking for. Its sweetness is bordering on liqueur territory. Perhaps by upping the proof from 80 and reducing the added sugar would produce a more agreeable final product. I’m sure Enrique’s fan base will love it, however. Have you tried Atlantico Private Cask? Please share your thoughts below. I appreciate you taking the time to review our product. Based on your preference for something a little less sweet/with younger rums, I would recommend trying Atlantico Reserva. This rum was developed specifically for people seeking that style. 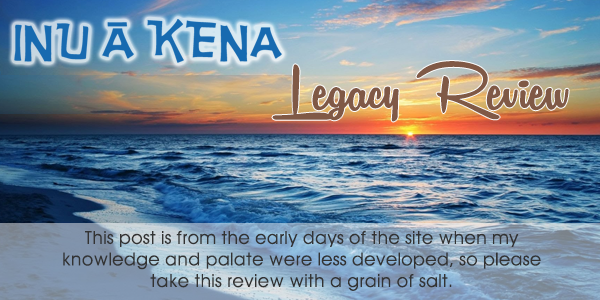 While still being 80 proof, it is made up of younger rums and has a much drier profile than Private Cask…less oak and more hints of citrus/berries. Our goal is to create a variety hand crafted rums that each deliver something a bit different. Keep up the good work and we appreciate your help in spreading the word on the rum category! With all due respect to Oliver, we are beginning to tire of the sugared “style” of rums they seem to produce – how can this gentleman refer to “dryness” in the face of the overwhelming sweetness that you found? The scary slow legs, and the lick-your-lips sweet residue imply some added sugar. The lack of the green edge of true age is more than curious. And I know enough about soleras that the claim of 15-20 years is, well, impossible. Not only should a 15 year “solera” be far more complex, but soleras of more than three or four levels are financially impractical – and even these quickly top out at an average age of about 8 years. But hey, we’re talking about rum here, not single malts. You pays yer money, you takes yer choice. Another altered rum for those that like them – but not at $30. $18? Maybe. We scored this faux rum a “6” (below average). These comments are off base. I have almost every top rum in my collection, including Ron Millonario XO, Ron Zacapa 23, Gran Anejo Plantation Guatemala, El Dorado 12 & 21 – don’t like the 15 – and too many others to mention here. Like the Vizcaya, the Atlantico has not been treated fairly by rum critics. It is a really good rum. I also don’t like the Old New Orleans 10 year at all, a rum well reviewed by pseudo experts. Frankly, the $20 Plantation Grand Reserve from Barbados at $20 a bottle could beat almost anything on the market at any price in a blind tasting. My two cents from this rum lover, a rum lover who would never mix the great stuff with anything, including ice. I don´t understand something here… it seems when the Rum has no “kick” at the end and is leathery silky smooth then it seems to be no good !?!?!?!?! That´s the whole idea in the aging process my friends and this has been done in cognac and brandies for many many years. People pay many many euros or whatever currency you like to drink something where you can feel the alcohol but that it does not feel like it is cleaning a pipe with acid at the end. Well I’ll add my $0.02 on the positive side of Private Cask. Like Phillip I too have lots of high end rums (and there is that “cardamom” like flavor in the El Dorado 15 I do not much care for) and of these I guess the least sweet that I really like are the Angostura 1919 and Santa Teresa 1796. Now to be sure the Atlantico P.C. is sweeter than either of these, but as a result (and like my other sweeter rums Pilar Dark, Diplomatico R.E.) the Atlantico stands up beautifully and compliments the taste of cigars. I like it so much I can’t decide if the rum is complimenting the cigar or the cigar the rum! But they do go well together. I am with you, Sir. Angostura, Santa Teresa and will add Admiral Rodney. Opthimus from Oliver and the Punta Cana Tesoro are in that category.